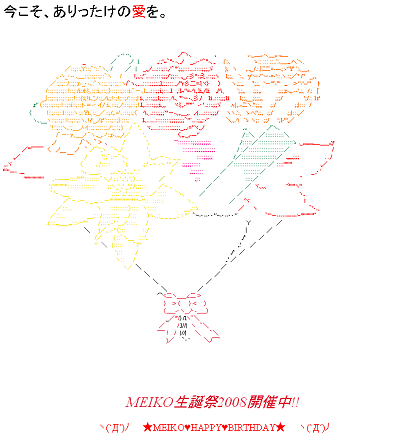 4 years ago, the first VOCALOID to be released in Japan, MEIKO, was released. That was one major milestone in the Japanese VOCALOID community. To celebrate this occasion, people in Nico Nico Douga made a special video for her! The ASCII art above was also made by the people over at Nico Nico Douga. Happy 4th Birthday MEIKO!